Job Attic was made available on 30 August 2016. No short description is available yet. Job Centre Plus on Email was made available on 02 February 2012. No short description is available yet. Job Coconut was made available on 08 May 2014. No short description is available yet. Job Gateway HTTP was made available on 07 August 2018. No short description is available yet. Job Heaven was made available on 26 March 2014. No short description is available yet. Job Heaven Featured was made available on 06 January 2015. No short description is available yet. Job Inventory was made available on 17 January 2018. No short description is available yet. Job Magpie was made available on 20 July 2017. No short description is available yet. Job Scene - Support Vacancy was made available on 12 September 2018. No short description is available yet. Job Scene - Teaching Vacancy was made available on 30 August 2018. No short description is available yet. Job Scene on Email was made available on 08 August 2016. No short description is available yet. Job Search Mauritius was made available on 06 January 2015. No short description is available yet. Jobsearch.ie: Free and Social Jobsearch.ie is an Irish owned jobsite that was established in 2004 and which, for the past 4 years has been free to use for both employers and jobseekers. According to the founder of Jobsearch.ie , Jim Murray: ‘Jobsearch.ie is the only Irish jobsite that offers permanently free jobs posting for Irish employers and recruitment agencies. Basically, our approach is to make the jobs posting process extremely simple, and to that effect employers or recruitment agencies can post a job the very moment they click into the site. This job will be viewed by up to 60,000 jobseekers per month, and will go out on job alert emails to a registered database of 35,000 jobseekers.’ Jobsearch.ie is a fantastic free resource not only for small to medium Irish employers and multinationals but also for recruitment agencies who can easily post through the bulk posting platforms like Logic Melon. There are at any one time between 2,000 and 2,500 active jobs being advertised on Jobsearch.ie. While Jobsearch.ie host many retail jobs, jobs in trades, in transport, chef jobs and sales jobs, they also see many digital marketing and IT jobs being posted on a daily basis. The site also sees a significant amount of International engineering jobs and nursing and medical jobs being advertised. Jobsearch.ie is a completely free resource and it is gradually becoming the jobsite of choice for many Irish companies – from the SME who wishes to post a job for a shop assistant or a waiter to the blue chip company with IT jobs or Financial jobs that need to be filled. Job Vacancies Direct was made available on 09 September 2015. No short description is available yet. Job Vine Premium was made available on 02 September 2011. No short description is available yet. Jobaround Athletes is an online platform that fills your business' hiring needs with driven and competitive current and former athletes seeking jobs. Jobaround Athletes was founded to create a link between athletes who have already demonstrated their desire and willingness to excel and employers looking for trustworthy and dedicated staff. Jobat.be was made available on 05 February 2019. No short description is available yet. JobBank.ca was made available on 13 October 2015. No short description is available yet. Jobcast is a powerful hiring app that engages candidates from your Facebook Page. It's free, easy to use, and a great tool to promote your career opportunities directly on Facebook. Post jobs on your Facebook Page for free. Make your Facebook Page your exclusive career site. Synchronize jobs with your company's pre-existing career site. Social sharing with Facebook, Twitter, and LinkedIn. Collect applications from your Facebook Page or redirect applicants to your company's website. Broadcast your jobs to free search engines, such as Indeed, SimplyHired, Jooble, Yakaz, and more. Measure your success with Jobcast's social analytic tools. Available for your visitors in: English, French, German, Italian, Japanese, Portuguese (Brazil), Portuguese (Europe), Russian, Spanish (Europe), and Spanish (Latin America). Jobcentre Plus (Find a job) was made available on 21 December 2012. No short description is available yet. 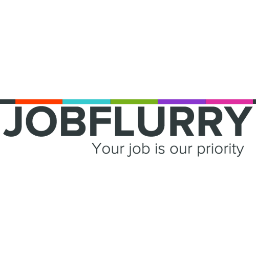 Each month JobFlurry grows in traffic and also benefits from the huge traffic sent by the Allthetopbananas.com UK job search engine, every job posted also goes out to our network of partners.